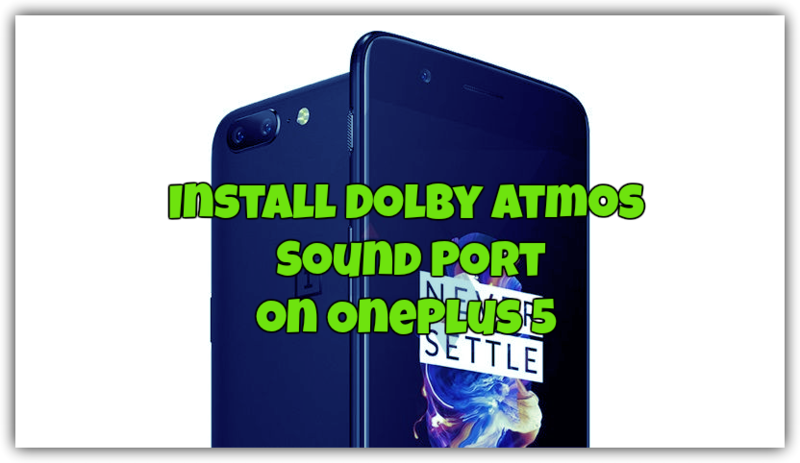 If you are new to the Android and didn’t hear about the Dolby Atmos, then here in this guide you will know what is that how you can improve Oneplus 5 Sound Quality with this application called Dolby Atmos Sound Port. As you guys are aware that Oneplus 5 is the latest Android Smartphone. Maybe some of you already bought the phone and didn’t impress with the Audio quality of your Oneplus 5 and want to improve its Audio Quality. Don’t worry; you are at the right place at the right time, here you can learn some tips to get best sound quality on your Oneplus 5 Android device. We are not saying that Oneplus 5 inbuilt speakers are that bad, but some user always wants to hear some good sound. So they can apply this guide on their phone and get the best sound from the Oneplus 5. All credit goes to the XDA member I$han has ported the Dolby Atmos sound mod for the OnePlus 5. To apply this MOD, you need a rooted Oneplus 5 with TWRP custom recovery. Without that, you can flash this Dolby Atmos Sound Mod on your phone. And yes rooting doesn’t void the warranty of your Oneplus 5 phone. So without any doubt, you can root your Oneplus 5. But before following this procedure make you take the Nandroid backup of your phone, If something goes wrong then you can easily restore your system. Do take the Backup of your Oneplus 5 in TWRP reocvery mode. As we mention earlier to get started, you have to flash one file on your phone with Custom recovery. Download the Dolby Atmos sound mod by I$han from the link below. And save the zip file on your phone’s internal memory and remember the location of the file where it is stored. 1. Once you saved the Dolby Atmos sound port zip file on your phone. 2. Turn off your phone and boot into TWRP recovery mode. To do this Hold Volume down + Power button and your phone will boot in the TWRP recovery mode. 3. [Optinal] Now from here tap on the backup and take the backup of your phone. In case something goes wrong, you can restore all of your data with TWRP recovery Restore option. 4. Tap on the Install Option in the recovery and locate the Zip file that you saved on your phone. 5. Select it, Swipe to flash the file. The flashing process only takes a few seconds. 6. Once the zip file is successfully installed on your phone, you will see the Reboot System option on the bottom screen of TWRP recovery. Tap on it to Reboot Oneplus 5. You can now see the Dolby Atmos app in your app drawer. Here you can tune the sound setting of your phone as per your need. 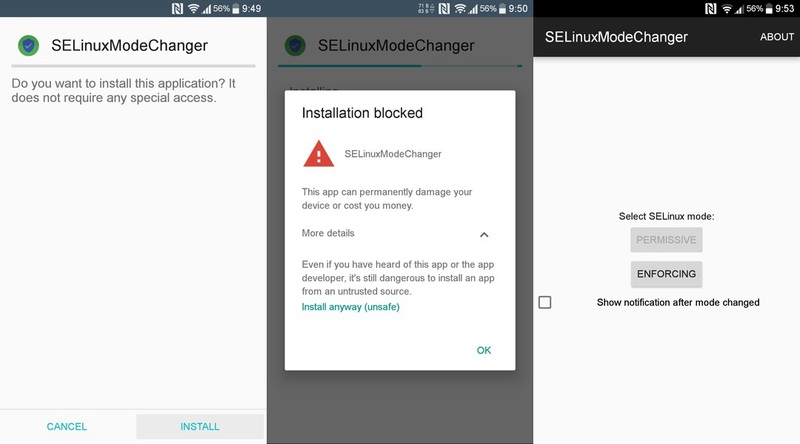 Download SELinuxModeChanger apk file here and install it on your phone. To install the apk file on the phone, you have to enable Unknown sources in the settings. Just go to Settings > Security and scroll down until you see Unknown sources. Tap on it to enable it and you are done. Now open the File Explorer on your phone and located SELinuxModeChanger apk file that you downloaded on your phone. Just tap on it, and installation process will start. Now run the application from the app drawer of your phone and tap on the Enforcing or Permissive button whichever is available. That’s it. Now the Dolby Atmos mod is installed on your phone, and you can tune your phone sound settings with this app. Hope you like this guide and if you are facing some problem during the process then leave a comment below, we will help you to fix it. I can confirm that this works! Very happy with results so far. I had problems with the Viper4Android installation I tried before. This works flawlessly.